Cutting back on water use in your home is important. It will help in conserving this precious commodity and also cutting on your utility bills. Various studies have shown that a good percentage of the water bill is wasted water. Do you know that with proper water usage and minimising the wastage, it is possible to cut your utility bills by a third? That’s true. You just need to make some few changes on your water usage to realise it. A good amount of water is wasted in the shower, mainly while waiting for the water to warm up. Although it depends on how quick your water heats up, a lot of it will be wasted by the end of the month or year. If you have a large family, you can just imagine the accumulated waste. Remember that this wasted water will appear on your utility bills. But you can collect and use it for other purposes. This’s why it’s prudent to take a bucket to the shower to collect the cold water. You can use it later to flush the toilet or for laundry. It may sound odd, but it’s a very effective way to deal with spiking utility bills and water shortages. 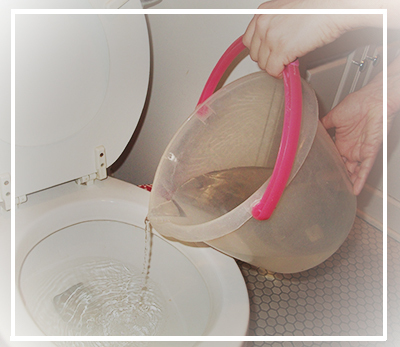 Do you know that sometimes you don’t need all the water in the toilet tank to flush the toilet? Sometimes, you need one gallon to clean the toilet. Embracing bucket flushing would be the perfect way to control the amount of water going down the drain. It enables you to flush with less. It may not sound very first world, but it’s an excellent trick to save water in the home. The amount of water used in cleaning the dishes differs with the method used. Washing by hand will waste a lot since you will be required to fill up the sink. You need to come up with a method that will skip pre-rinsing stage while cleaning the dishes. The modern water-smart washers are a perfect choice since they do not pre-rinse the dishes. They have high water efficiency, and they can save a lot of water that could’ve been wasted. Try them, and you will see a significant drop in your utility bills. A garbage disposal will require a lot of water to operate. But is it necessary in your home? Sometimes you may find that other methods of waste disposal would work more efficiently than this appliance. For instance, if you have a compost bin, it would work extremely well and at the same time help in water saving. This will ease pressure on your utility bills. This is another great tip that will help in saving water in the home. Do you shower or bath? A bathtub will require at least 70 gallons of water for you to have a nice bath. You just imagine the total amount of water needed for a large family. But a five-minute shower uses 10 to 20 gallons depending on the type of shower. The difference in the amount of water used in the two is huge. You can opt for more showers as compared to baths, and this will drastically reduce the amount of water used in the bathroom. A properly functioning faucet will deliver an average of 2.5 gallons of water minutes. If you are brushing your teeth, then a lot of good water will be going down the drain if you leave running. Be a faucet hawk, and you will save most of this water. Turn off the faucet after you have wet the toothbrush until the rinsing time. It can also salvage plenty of water if you use a cup to brush your teeth. This way, you don’t have run a lot of water down the drain. The Same thing can be done when washing your hands. You will save a few gallons of water if you turn off the taps after wetting your hands. If your plumbing system has leak problems, then a lot of good water will be wasted. But how do you tell that you have a leak in your plumbing system- just turn off all the water outlets in the home and see if your meter numbers are turning. The most notorious places for leakage are the kitchen and the bathroom. You carry out the colour test for leaking toilet. 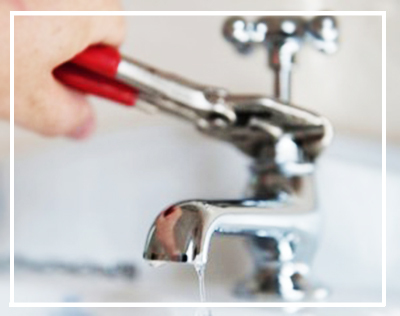 Do you know that a dripping tap can waste more than 2,000 litres of water a year? Fix all taps, sinks and showerheads that leaks. Do not forget that some appliances in the home such as dishwashers could be leaking too. You may not realise it, but washing your produce will definitely waste a lot of water, especially if you are doing it in the running water. Using a tub will help in conserving most this water, and maybe, it can be used elsewhere. You can reduce this water used by placing a basin in your sink, fill it, and wash your produce in it. This water will still be clean to be used for other purposes such as flushing toilet or in your garden. Don’t run your washing machine and dishwashers if it is not full. Note that an appliance will use the same amount of water whether it’s half full or full loaded. You will be wasting plenty of water if you are running it at half full load. Make sure that you have waited until having enough to fill it. You must also beware of permanent press cycle in washing machines since they use extra water. They are not necessary. The amount of that’s delivered per minute is important when buying a faucet and showerhead. You should install taps or shower heads that deliver fewer gallons of water per minutes. This will be an excellent way to reduce water wastage. Low flows can reduce the amount of water used by more than one-third. You should also reduce the water pressure in your plumbing system since it increases leaks and drips. Install a pressure reduction valve for this purpose.